in which business and local authorities are partnering to take the next step in the region's economic development. What role does the Heart of the South West Local Enterprise Partnership play in helping businesses grow throughout Devon and Somerset? Julia Stuckey: First and foremost, Heart of the South West LEP (HotSW) acts as a bridge between local authorities, the private sector, and the educational institutions throughout the south-west. The aim is to build a strong and enduring foundation for economic growth. One way in which we do this for SMEs and larger companies is through our 'growth hub', which taps into our vast network of contacts in local government and the region's business to provide free, impartial advice and support to firms seeking to start up and develope. HotSW has helped more than 16,000 enterprises develop and grow. Work is also being done with the UK Government, the EU and local business to maximise the area's distinctive strengths and assets. The investment strategy focuses on enhancing employment sites, transport links, broadband connectivity, and skills programmes to ensure that investing companies can rely on a talented and committed workforce. With a recent injection of government funds and future European investment anticipated, the long-term vision of strengthening the fundamentals of the south-west's economy is well on its way to being realised. Which local projects is HotSW championing throughout Devon and Somerset to help bring about that vision? with an integrated supply chain to match. This is particularly true of its relationship with maritime businesses, with a vibrant shipping industry in Appledore and Plymouth in Devon. The latter's Marine Industries Production Campus at South Yard (soon to be an Enterprise Zone), the North Devon Tidal Demo Zone and Somerset's possible Tidal Lagoon all signify a surge of marine energy investment opportunities, for inward investors and across the local supply chain. This growth will be supported by a high-technology manufacturing base that is led by a strong electronics and photonics industry. Devon's Torbay, in particular, is host to a number of businesses manufacturing fibre-optic components, optical modules, semiconductor devices, laser components and consumer electronics. The forthcoming Met Office Supercomputer and the adjoining Exeter Growth Point development, including a Collaboration Centre and Exeter Science Park, also represent exciting major multi-sector opportunities. This will enable ground-breaking organisations to deliver real-world benefits from the underpinning data and science to inform environmental futures. The south-west is also a regional leader in the UK's aerospace industry, with a comprehensive supply chain and a strong R&D base. Fourteen of the world's leading aerospace companies operate extensively here, including Airbus, BAE Systems, and Boeing. Generating an enormous £7 billion in sales value per annum, the industry relies on a formidable - and thriving - supply chain that employs more than 59,000 engineers at competitive rates. This knowledge base and infrastructure encouraged AgustaWestland - the UK's only helicopter manufacturer that retains a complete indigenous design, development, production and support capability - to headquarter itself in Yeovil, Somerset. This knowledge base and infrastructure encouraged AgustaWestland - the UK's only helicopter manufacturer that retains a complete indigenous design, development, production and support capability - to headquarter itself in Yeovil, Somerset. Lastly, the south-west is seeing its agricultural sciences sector going from strength to strength. World-leading plant and food science experts are based at Exeter University, Bicton College and the Rothamsted Research North Wyke facility in Devon. The latter, in particular, provides global-reaching research into farming systems to inform water, air and soil and livestock production effects, while the Brixham Lab offers a range of investors access to state-of-the-art lab space, as well as a direct connection to Plymouth University. What role is the construction of Hinkley C playing in achieving the LEP's goals for the area? Hinkley Point C (HPC) in Somerset will be the UK's first new nuclear power station in 25 years is Europe's largest construction scheme, and the UK's biggest inward investment project. Led by EDF Energy, the £16-billion undertaking will employ close to 5,600 individuals at its peak and provide the region with an annual £100 million of additional GVA activity. Once HPC is operating, it will employ around 900 individuals, provide direct and indirect economic benefits for the local economy of. around £40 million a year and supply electricity to around five million homes over its 60-year life cycle. The project offers huge investment opportunities for local, national and international suppliers. It will also provide a range of jobs in construction, engineers, nuclear technicians, transport, and support services like catering and accommodation, and local colleges and universities are busy training the local labour force in readiness. The Low Carbon Energy Innovation and Collaboration Centre will open in June 2015, to support nuclear-related investors in Somerset. The region's nuclear new-build and decommissioning projects build on the south-west's already considerable nuclear assets in Hinkley, as well as Oldbury in Gloucester; a strong, regional nuclear-defence sector; and the nuclear R&D expertise possessed by Exeter and Bristol Universities. Overall, the south-west expects to gain the reputation as the UK's leading nuclear industry cluster, where investors can easily locate, manufacture and export goods and services across Europe. What is HotSW LEP doing, or planning to do, to harness the contribution local educational institutions are making to the local economy? The south-west's international-grade higher education institutions are represented on the LEP's board, working with business and the public sector to shape the area's priorities for growth. It's fortunate that the area's higher and further education system is business-focused, furthering its inward investment proposition. For example, the University of Exeter (a Russell Group institution) boasts outstanding research facilities in the fields of aerospace, additive manufacturing, alternative materials, climate science and agri-tech. Meanwhile, Plymouth University possesses world-class marine science facilities, including the Coastal Ocean and Sediment Transport Laboratory and the Marine Innovation Centre, the latter playing a key role in liaising with global commercial stakeholders. A network of skills centres, colleges and academies train new employees in the fields of renewable energy, nuclear research, and marine sciences. The EDF Energy Skills Centre at Bridgwater College offers leading engineering and nuclear related education, training and facilities. This is complemented by the college's purpose-built Construction Skills and Innovation Centre, also sponsored by EDF Energy to offer training in Hinkley Point C-related disciplines and industry-standard facilities and equipment. The energy giant has also chosen to establish its £20-million national 'campus' centre for its employees on a shared Bridgwater College site in Cannington, Somerset. Meanwhile, South Devon College's Noss Marine Academy, located on the picturesque River Dart, is recognised as a centre of excellence in training by the British Marine Federation and the Royal Yacht Association. Strong connections to local marine companies ensure it serves the needs of businesses as well as students, supporting growth in this vital sector. The Bristol National Composites Centre and specialist teams at Bath Exeter and Plymouth Universities are highly respected in aerospace innovation, while supplying new talent to the workforce. Nearby Bridgwater College trains apprentices for AgustaWestland, Rolls-Royce and many more. What support are you offering to businesses outside of the region seeking to relocate? For new inward investors, HotSW offers the 'Invest in the Heart of the South West Soft Landing Package', a comprehensive proposition for companies considering permanent relocation to the region. As well as offering a unique grant fund to help relocating businesses recover the costs of an introductory visit, this service includes access to a network of local experts who can advise on the key factors in relocation, such as the search for suitable property, investment and networking opportunities, quality of life information, and market statistics. Other business support grants and incentives are also often available. HotSW Local Enterprise Partnership is proud to provide a unique, tailored, soft-landing package to inward investors from outside the south-west, or from overseas. 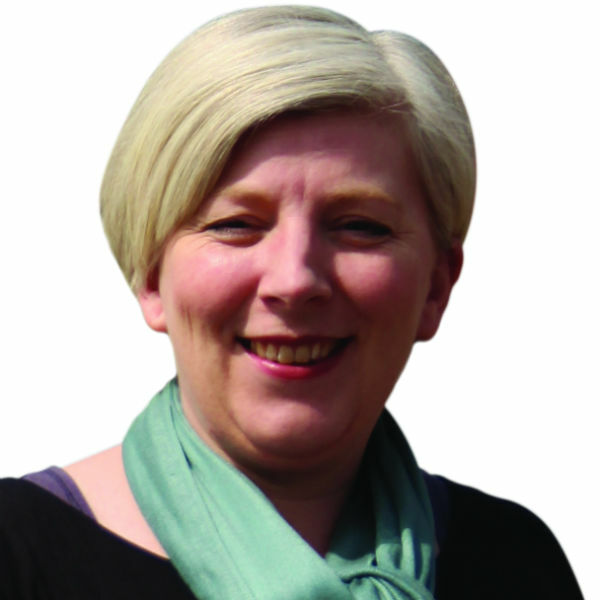 Julia Stuckey, the Heart of the South West Local Enterprise Partnership’s inward investment manager. 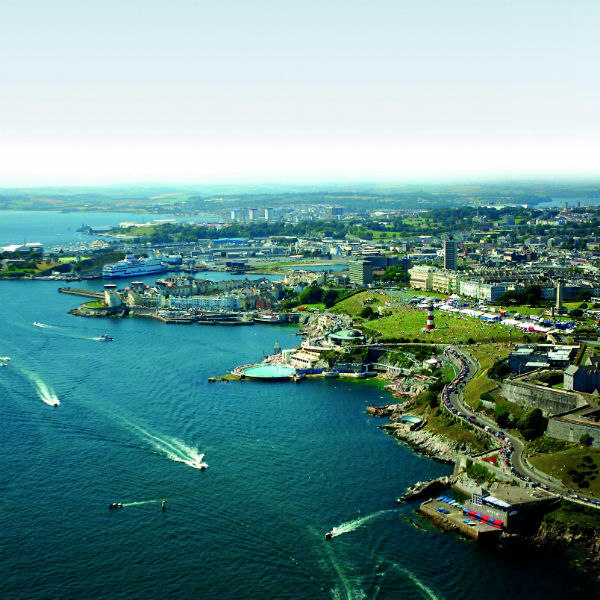 Plymouth: heart of the south-west’s vibrant marine industry.